Merida is known and yes it is the capital of the entire Yucatan peninsula. 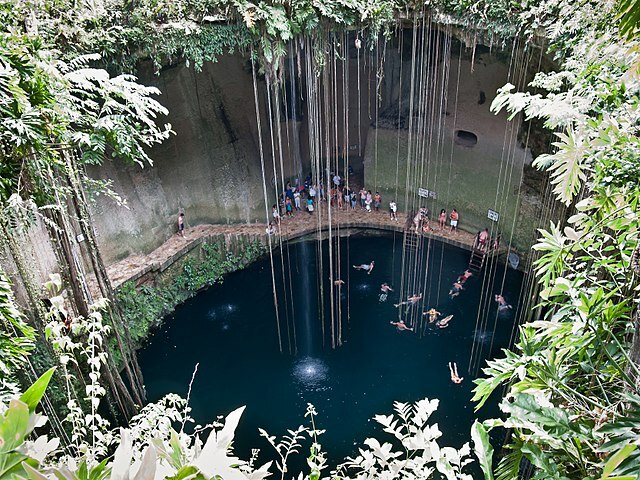 It is one of the most beautiful destinations found ever in Mexico. The city is very large and so it offers the best and suitable amenities to its local as well as to the people visiting there. Merida is the safest place found in Mexico. Though it is in Mexico it gives off more of a European feel. It’s a delightful town and there are so many fun things to do in Merida. One of the best thing about Merida is its central location in the Yucatan which allow for dozen of fantastic day trips. It’s a perfect hub city with so much to do within a short hour or two. ATTRACTION: Most of the tourist attractions are walking distance from the downtown. The open air Carnavalito, City tour bus is the most popular way to see the city in a better way. The other option is a Turibus.it provides earphones with a recorded narrative in English and five other languages. One can ride the entire place in just 2 hours. If one wants, they can stop and catch another bus to continue its journey. The third option is a calesa i.e. a horse drawn carriage. This is a 45 minute ride that goes around the central Merida. This ride is best at night or Sunday morning when there isn’t much of traffic. NIGHTLIFE: The nightlife here is very vibrant and active. Dancing and live music is a very essential part of the nightlife here. In Merida many western-style bars are found open especially in the night. The four days of the week i.e. Thursday, Friday, Saturday, and Sunday nights are also called as Corazon de Merida i.e. Heart of Merida. There are many night clubs, if one is looking for, in the downtown area. HOTEL STAY: There are some great inexpensive place to stay and even a handful of fantastic 3 star hotels. You can certainly afford to explore the region on a budget. The two main hotels where visitors stay is the CENTRO AROUND PLAZA GRANDE or PLAZA FIESTA AMERICANA near the INTERSECTION OF COLON AND PASEO MONTEJO. And if looking for luxury hotel the Intercontinental President Merida, the Hyatt Regency Merida and the fiesta Americana Merida are the best. GET LOST AMONGST CHAOS IN THE LUCAS DE GALVEZ MARKET MERIDA: Merida’s big market is a site to be experienced. You can get fresh vegetable, homemade crafts, local clothing and a new pet. The vibrant and bustling market can get crowded. It’s packed with locals and that’s all part of the fun. ANNUAL FESTIVALS: Merida has something interesting and popular annual events to consider if your visit happens to concide with the right time of year. There are so many things to do in Merida all year long. In Jan Merida fest begins which last for several weeks of nightly fiestas. Don’t miss the opening night with an awesome fireworks display to bring in Merida fest. Merida fest 2022 will be a large celebration as it celebrates the city’s 500th birthday. There are many other annual events popping up in between. There are annual sporting events, concerts, ballads, operas, races and so much more. EXPLORE MERIDA BY HORSE AND CARRIAGE: Skip the double decker hop on hop off tour bus and instead tour the city by horse and carriage. For a romantic spin around town, consider and evening tour as the city lights. EATING AND DRINKING IN MERIDA: Merida is a home to some of the best food throughout the Yucatan and Central America. So be sure to try the local cuisine which has some huge regional differences compared to elsewhere in Mexico. Explore the streets and find your own favourite Taco cart. For an afternoon snack, as for drinking in Merida there are lots of great cantinas and lively bars. Happy hours run late here so you can often find great drink into then 8.00 hour and beyond. There are even some local craft beers made in Merida. Ready to explore the beautiful and vibrant city of Merida add this place on your travel list.